Eyes: Austins' eyes are dark purple, almost black, though. Body Type : Height is 6,2, and weight is 160lbs. Distinct Markings : No freckles, or birthmarks, however, Austin does have a burn mark near his right eye, as when he was working in the forges, he tripped, and got a hot celestial bronze ingot in his face. Luckily, there was nearby water. Also Apollo campers. Personality : Austin is a friendly person. It's just natural for him to be friendly. Kinda' how its natural for demigods to be ADHD, or dyslexic. He is also funny, he doesn't know why. People just say he is... He acts natural, and it shows off,I guess. He can be dimwitted at times, not realizing what is happening, until it actually happens. However on other times, he can be stubborn if things aren't fair for him, for example, Every cabin got 30 drachmas but his cabin. Powers: Can summon fire, but only when in battle, (VERY hard battle,) or when completely filled with anger. He cannot control himself, so he tries to keep calm. Weapon(s): Deathbringer, his half celestialbronze, half imperial gold sword, is one of the rarest of all of the swords. It was made from himself, after the Hephestus cabin got big loot from raiding a rouge cyclops forge. Pets: Pet telkhine, however is friendly. Talents/Skills: Sword fighting, making weapons, making armour, making automatons, and javelin throwing. RP Example: It was a hot day for the hephestus cabin, Hotter than usual. Austin was down by the forges, working on a new sword, after the rouge cyclops raid, and he planned to call it deathbringer. He started off with a celestial bronze blade, and than got melted imperial gold, and put it on the blade like a spiral. Whilst waiting for it to cool down, (Water wasn't reccomended, as the sword could lose shape so early), he decided to take his pet telkhine, GRAPHOMIR, outside. He wasn't sure why he named it graphomir, it must've been because that was his first word... that we heard, and his mouth was full of duct-tape. Whatever. He was walking around, getting strange looks, like usual, until he realized it. His shirt was on fire. He sighed at this, like it happend before, and ran full-on speed towards the lake, doing a cannon-ball into the lake as he did it. He was soaking wet now, but atleast he wasn't on fire. He figured he'd had enough with telkhine walking, so he brough his telkhine back to the cabin, and his sword seemed to be ready by that time. He dipped it in water, just to ensure that it could now keep its shape, and gave it a special leather shealth, and named it Deathbringer. Austin was born unusual, the one who was allowed to play with matches, the one who was allowed to sit close to the fireplace. It was a cold night, so at the age of 5, young Austin had turned on the fireplace, As he'd been taught to when he was 3, (and also taught how to make a small-robot-like-automaton creature at the age of 4.) and started to warm up. He felt as if he didn't have enough heat, so he put it on full blast. He had a brother, and two sisters, both younger than him, and his mother in the house at the time. He had the fireplace on full blast, with no fan on, and than it started a house fire. He was in tears, running outside of the house, while he watched his family die in the house, hopless of escape. It has been his secret for the past 12 years, and he never plans to tell anyone. He wishes he could go back, and undo the dreaded moment, but he couldn't. Out of options, Austin had no family members to rely on, so he was forced to living in the streets, all with a rusty butchering knife, and a backpack full of cheerios, and his family photo. He missed everything, and he missed all of it. He than later in life, met a friend of older age. He trusted him, and they lived together, on the streets, for 4 years. Up to the point where he went to camp half blood, at age 10, he spent a year getting to camp half blood, fighting monsters, as his scent rose up. He was 10 years old, (exactly!) 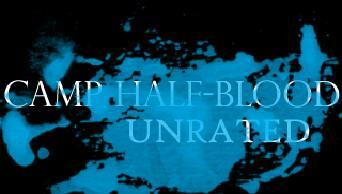 when he got to camp half blood. Now, he has a new family. Shortly after, he was claimed, and he felt like he was at home... and he was.